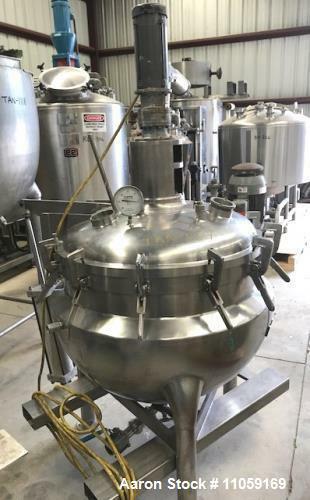 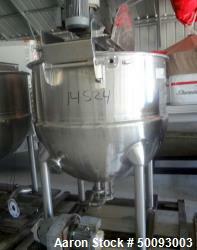 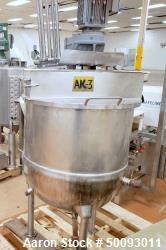 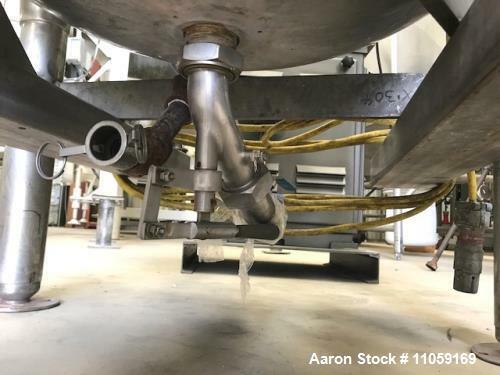 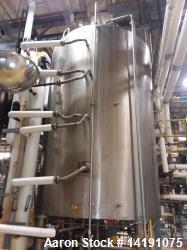 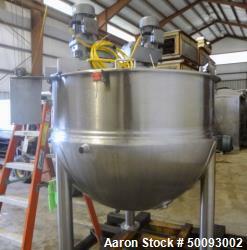 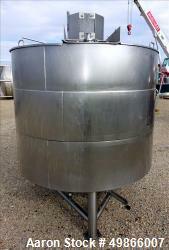 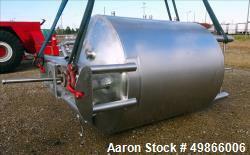 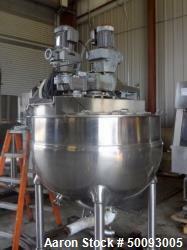 Used- 100 Gallon Hamilton Jacketed Mix Vacuum Kettle, Style PC with Sweep Mixer with Baffle. 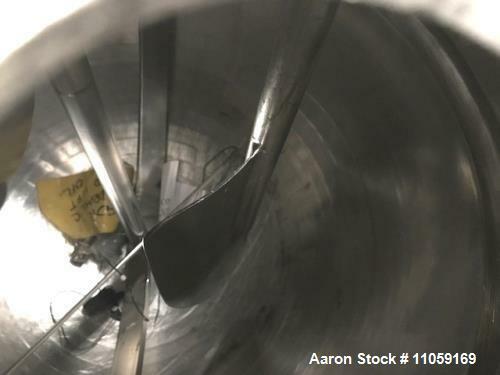 Internal is Rated 15 psi and vacuum at 312 Deg.F. 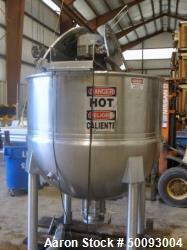 Jacket rated 80 psi at 312 Deg.F. 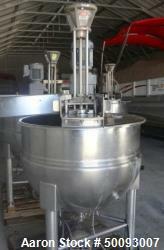 Has sweep mixer. 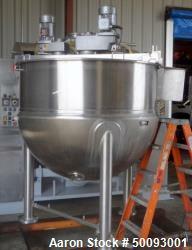 Tilt out Dome top with swing bolts and cylinder assist lift off. 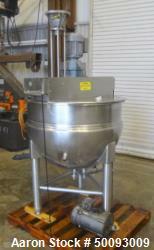 Sweep Mixer is 1 hp, 208/230/460/3/60 volt, 1725 rpm, 56C frame, Explosion Proof motor into 17:1 gear reducer. 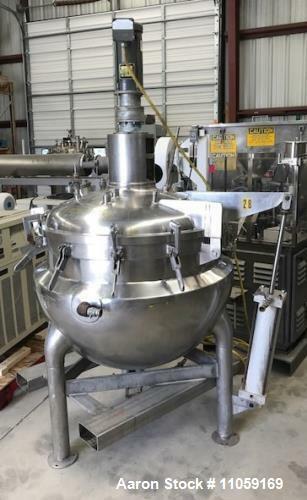 Sanitary. 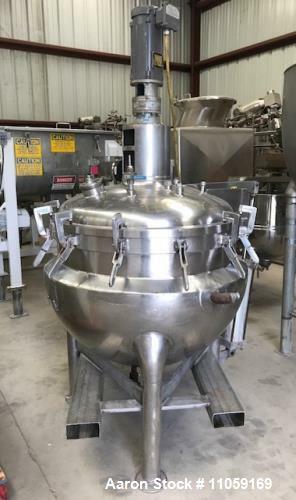 Kettle is approximately 3' diameter x 7' 6" OAH.